John Bell of the Portland Business Journal interviews Sean Z. Becker to share his thoughts on the bustling South Waterfront condominium market. In addition, this article highlights the opening of Sean Z. Becker Real Estate in South Waterfront. This article was published on April 29th, 2015. 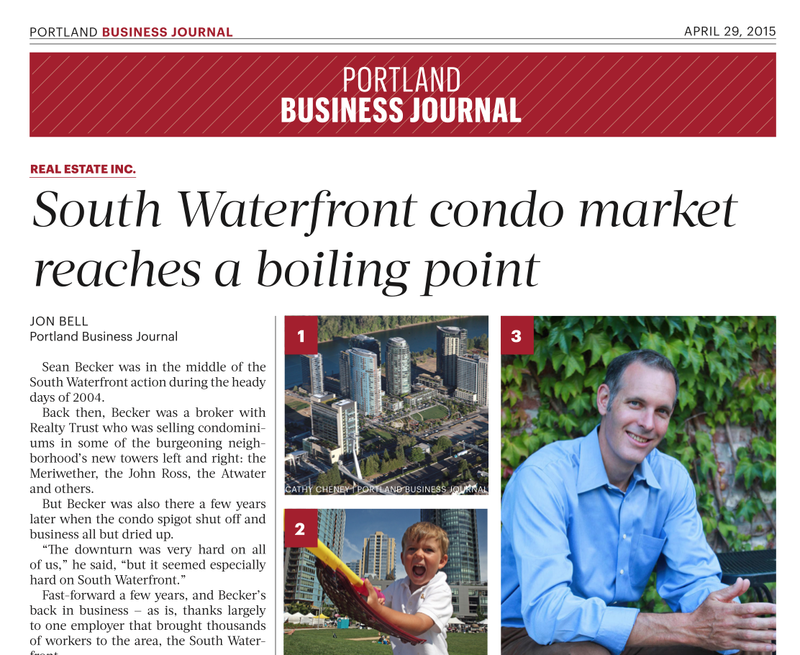 Read “South Waterfront condo market reaches a boiling point” here.